Amerique Bamboo floorings dare you to compare quality with any brands! FloorUS dare you to compare price with any stores! Size: 3-3/4" X 5/8" X 37-3/4"
Size 3-3/4" X 5/8" X 37-3/4"
Product may be installed on, above or below grade, on concrete or wood subfloors! Much like typical hardwood floorings using nails, staples or adhesive. The floating floor method can be used for concrete sub floor installation. Besides its beauty, hardness and durability, a substance derives its value from environment friendly characteristic. Fast growing, self regenerating and rapidly renewable also enable bamboo an alternative to the world's extremely rare and preservative treated hardwood. There are many species of Bamboo. Amerique Bamboo flooring uses only Mao Bamboo with 5 years of maturity, selecting the base of the stalk for its superior strength and hardness. It is harvested from the high slopes of mountain. Bamboo grown on slopes and mountains has much greater strength than those grown in valleys. Amerique bamboo flooring combines the inherent renewable characteristics of bamboo, with low emission glues and surface coatings. This combination has created new and unique environmentally friendly flooring option to the North American market. You can make every room a living room with this beautiful, strong and long-lasting floor. North America's best bamboo value! 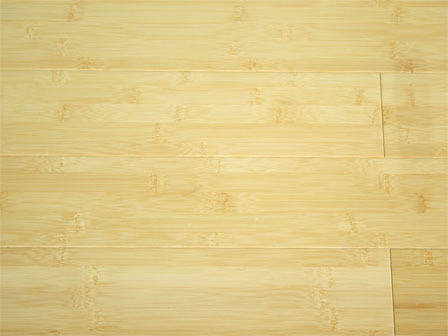 We dare you to compare Amerique Bamboo flooring to any brands! Absolutely we dare you to compare prices to any store!